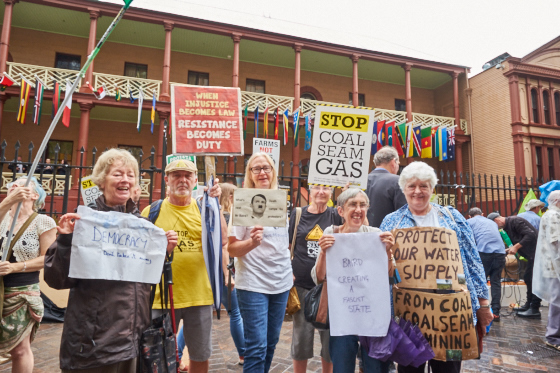 Stop CSG Blue Mountains members attended the large protest rally at Parliament House on 15 March 2016. 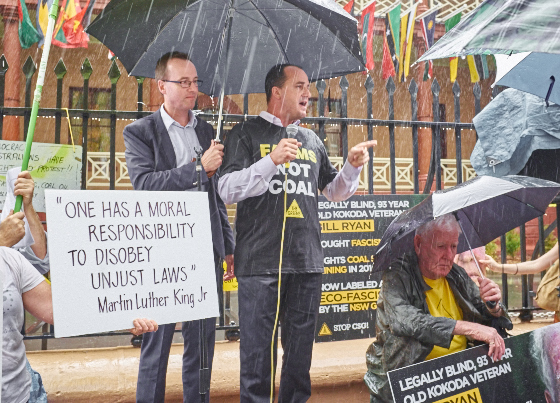 The rally was protesting the changes to NSW laws which could see CSG activists fined over $5000 and jailed for upto 7 years for taking part in peaceful protest actions. 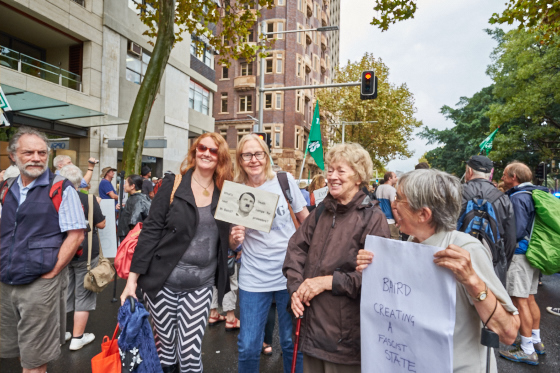 More photos from the rally can be viewed here. Stop CSG Blue Mountains has made a submission to the Select Committee on Unconventional Gas Mining. Download the new petition against CSG. Please print it out, sign it and get your friends to sign it. Read a summary of Clancy Yeates' insightful article on how exports of CSG will push up local gas prices. Or, read the full-article, published by Fairfax on 19 January 2015. Read Jane Stevenson's account of what she calls her "Trip to Hell" of her journey through the Queensland gas fields. Jeremy Buckingham speaking at Politics in the Pub on 17 July 2014. Paddy Manning speaking at Politics in the Pub on 17 July 2014. Images from the Pilliga forest protests currently underway. Download new petition and collect signatures.